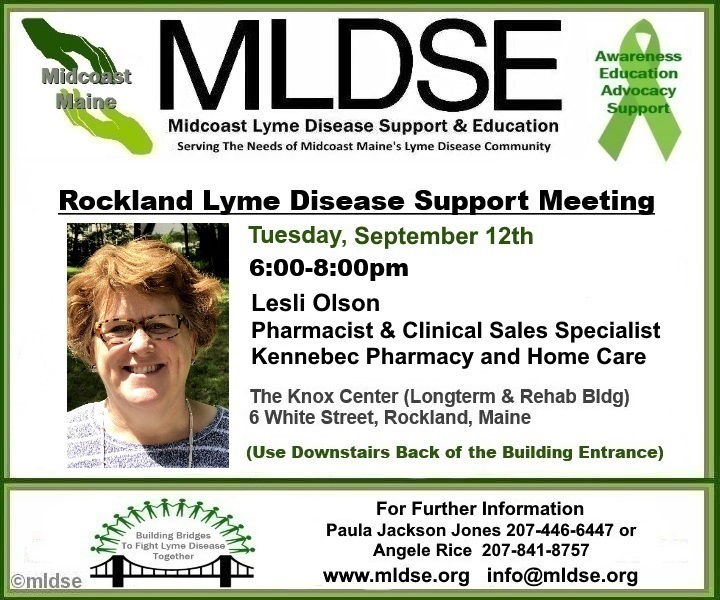 Lesli Olson, Pharmacist at Kennebec Pharmacy will be the guest speaker at Midcoast Lyme Disease Support & Education's September 12th Lyme disease support meeting in Rockland. 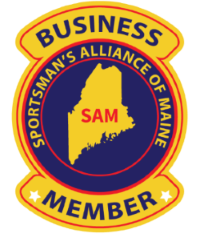 The meeting will be held downstairs in Rockland training room from 6-8pm at the Knox Center, 6 White St, Rockland, Maine. This meeting is free and open to the public who has been affected by Lyme and tick-borne disease and those who want to learn more about it. 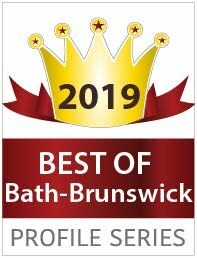 Lesli is a licensed Pharmacist and Clinical Sales Specialist for Kennebec Pharmacy and Home Care. 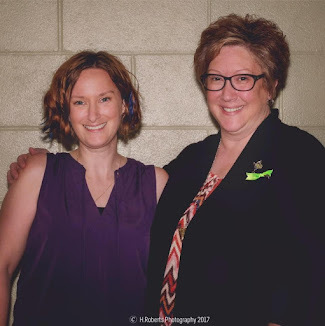 She works with physicians and health professionals throughout the state of Maine to provide the necessary education and support for effective patient care. Her current areas of focus include Specialty Care and Home Infusion Therapy. As a native of Maine and an outdoor enthusiast, she holds prevention and treatment of Lyme Disease close to her heart. Lesli will discuss treatment with home infusion antibiotics for refractory cases of Lyme Disease.